← First Class and First Beer. Sorry for the delay in posting, but we are still getting a hang on this blogging thing and we didn’t really have internet for the past few days (except for random times when the Kindle picked up a weird network). Even at our current hostel, internet has been finicky. And when your Spanish is minimal, communicating technical issues was not something covered in my “Basic Spanish” workbook. 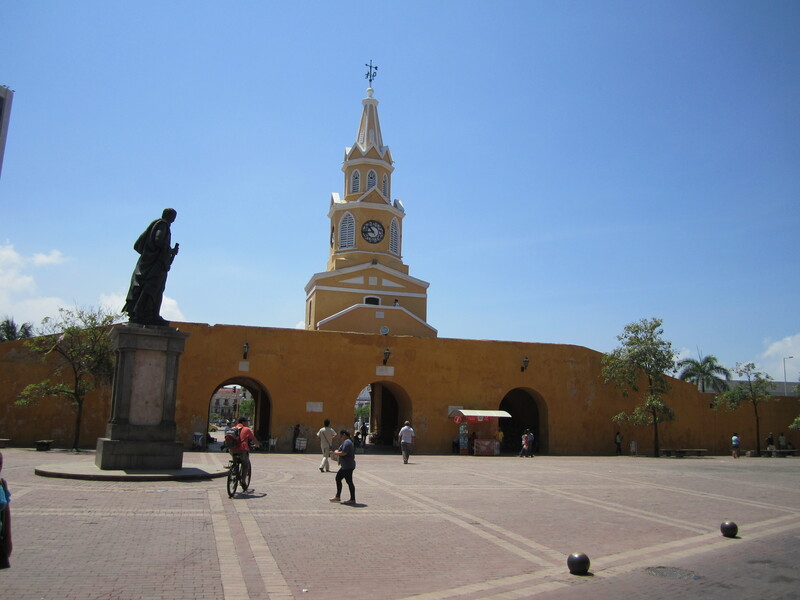 Anyways, after arriving late on the night of the 28th, we spent the first two days of our trip exploring the city of Cartagena with all its beautiful colonial architecture and hidden plazas. Our explorations were hampered somewhat by what seemed to be 125 degree weather and 100% humidity, but we found a way to continue. To quote a good friend, “I was very DEWY!” Actually, I think when sweat is pouring down your face, it may qualify as well past being just dewy. It has become very clear to us why people take a siesta during the middle of the day, and we picked up on that tradition quickly. Everything has been awesome and despite being the most “touristy” place in Colombia, our time there has definitely gotten us hyped about exploring the rest of the county. 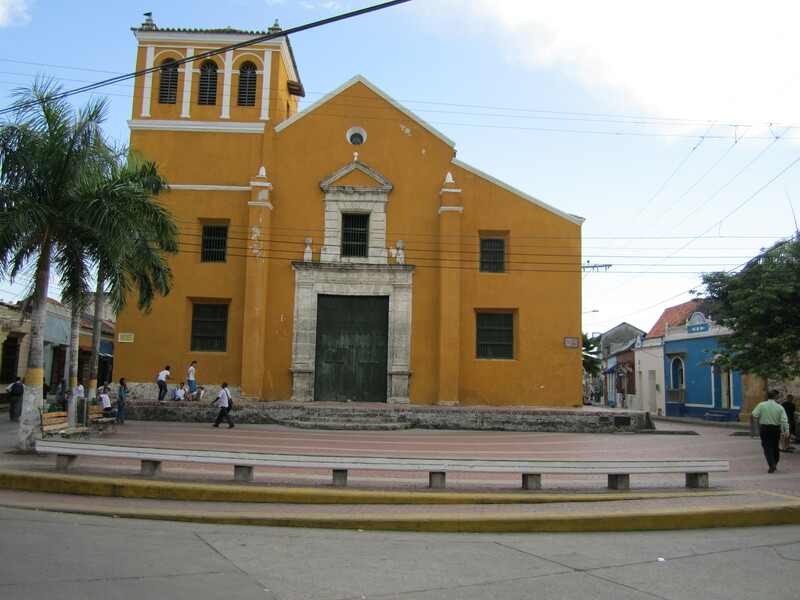 Cartagena is an old fort town with the new city spilling beyond the walls, and we stayed about a 5 minute walk from the main clock tower entrance. 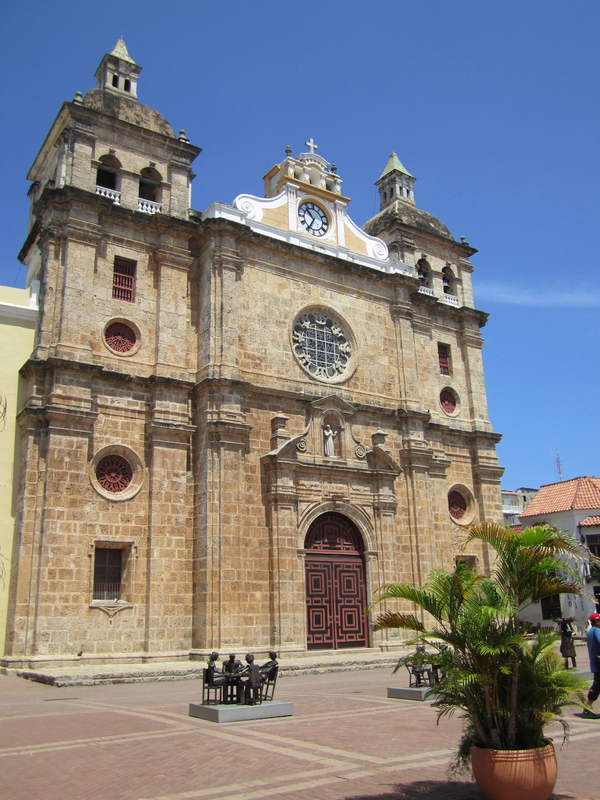 Not to be outdone by the walls and fortress, the outer parts of Cartagena offered more local flair. We explored through all the old buildings and found many different plazas with a place to grab a snack and plenty of seats to sit back and enjoy the view. Our evenings were spent in a little plaza close to our hotel. Just taking in the scene from the church steps was a great way to watch Colombian life go by. On our second night at the plaza, we also had the best hamburger and “perro caliente” (yes, that was actually what it was called), from a street vendor. While enjoying the unbelievable food, kids kept showing up to the plaza with sticks (mostly broken broom handles). We were really starting to wonder what was the deal with the sticks, when the kids all lined up (about a hundred of them) and rehearsed a dance number over and over and over again. It was a blast to watch, and by the end of the night, even we had the dance number memorized! 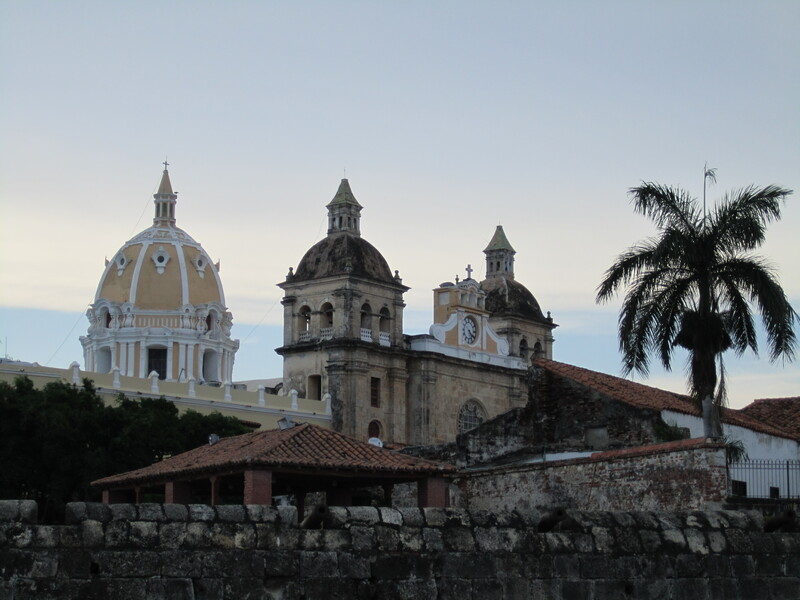 Our two days in Cartagena were a whirlwind, but definitely enjoyable. We think Colombia will continue to get better from here on out. Blog FYI: We are uploading all the pictures we are taking as we go to our Shutterfly site: joeandkristenfry.shutterfly.com. There is also a link to the Shutterfly page on the right hand of the blog (“More Pictures!”). If you have the urge to sift through all the pictures we are taking while abroad, feel free! Be warned, there will probably be A LOT! Wow look at all the tourists in those pictures! Sick. I don’t know how you can stand it. Seriously, I think Camarillo has more tourists right now. Seriously Tee, we seemed to be THE ONLY tourists in the town we are currently in. I haven’t see one other tourist, except for a few from other parts of Colombia. Last night, we were even the only ones in our hotel! It is crazy! Tomorrow we are headed to the “Adventure Capital of Colombia,” so I’m sure we’ll see other tourists there.